Focused on supporting Infor M3, Infor LN and Infor’s Supply Chain and PLM Solutions implementations. Warminster, PA, January 26, 2017 --(PR.com)-- Independent Computer Consulting Group, Inc. (“ICCG”) is pleased to announce its official participation in the Infor Partner Network (IPN) Alliance Partner Program to help support implementations of certain Infor enterprise resource planning (ERP) solutions – Infor M3 and Infor LN and Product Lifecycle Management (PLM) solutions - PLM Accelerate for Discrete Manufacturing and Fashion PLM for Fashion and Apparel vertical and Infor Supply Chain Management (SCM) solutions. Infor, a leading provider of business applications specialized by industry and built for the cloud, has developed the IPN Alliance Partner Program to give it the opportunity to work with those vendors that it believes can bring thought-leadership, industry knowledge and subject matter expertise to its customer implementations. ICCG is an Infor enterprise software-focused consulting firm with global presence and a track record of over 2000 business transformation projects, with execution across ERP, Supply Chain Planning and Execution systems, Warehouse Management solutions and Product Life Cycle Management solutions deployments. "We believe we are well prepared to fast track Infor customers with their enterprise implementations /upgrades and more and, we believe we can help these customers realize the benefits of their strategic IT investments sooner rather than later,” stated Shiv Kaushik, CEO of ICCG. “Our organization offers a deep level of functional and technical knowledge for Infor customers across many leading Infor solutions like Infor M3, Infor LN, and Infor SCE, Fashion PLM and PLM Accelerate,” added Manoj Gandhi, COO of ICCG, who served in leading the ICCG enterprise software business as global delivery head and is highly focused on processes and systems for quality implementation for ICCG’s clients world-wide. 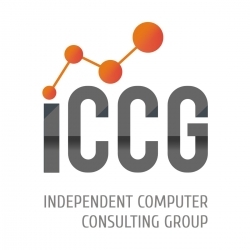 Independent Computer Consulting Group (ICCG) is a Global Information Technology Solutions Provider for the Enterprise. Since 1988, ICCG has been providing innovative information technology solutions, always with an eye on the changing market and technological horizon. ICCG offers complete application and IT infrastructure services and support to meet key business needs, and long-time global customers continue to rely on ICCG to satisfy their diverse and growing business needs. ICCG is dedicated to helping customers bridge their gap between ERP and SCM technologies and business problems to deliver greater value from their technology investments. ICCG’s functional and technology expertise spans Enterprise Resource Planning (ERP), Supply Chain Management (SCM), Warehouse Management Solutions (WMS) Product Life Cycle Management (PLM), Product Data Management (PDM), Business Intelligence (BI), Business Process Management, and Systems Integration and Migration. By specializing in five specific industries, ICCG has developed extraordinarily deep industry knowledge and are experts in mapping technology to your industry’s needs. Combined with technology and application expertise, ICCG is uniquely qualified to accelerate results. ICCG, Inc. is certified as a women’s business enterprise through the Women’s Business Enterprise National Council (WBENC), the nation’s largest third-party certifier of businesses owned and operated by women in the US. Visit us at: www.ICCG.com or for more information.